The Deliveroo situation has progressed a little further with a change of contract coming from the Deliveroo bosses. Under the new, much smaller, contract, or as it is known “supplier agreement” the riders will be able to work for other companies, not wear a uniform, log in to work whenever they want and it removes the need to provide 2 week’s notice to terminate their contract. Cynics may see this as an attempt to strengthen the Deliveroo contention that all of their riders are “independent contractors” and not employed workers as most of the riders would prefer. 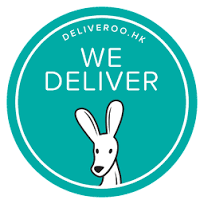 If the Deliveroo riders were to be considered as employees on a zero hours contract they would be entitled to some basic rights, minimum wage and paid holidays for example, but as independent contractors they have no employment rights whatsoever. The Central Arbitration Committee (CAA) (the committee which decides whether a trade union must be recognised) is to hear arguments later in May to decide if the riders have a right to have their union recognised. If theCAA decide in favour of the riders it will surely be a first step towards their goal to be recognised as employees even if on zero hours contracts. Watch this space for more updates on Deliveroo and all of the Gig economy information. If you are unsure about the status of any of your team, please call our Nottingham Head Office on: 0115 988 6211, where one of the employment law experts will be happy to help.